Have you wondered why we have the name of 2BSeeds? The 2B’s reflect Bees and Butterflies. Seeds are for the production of nectar and food for these pollinators. Bees play such a vital role in just about one out of three bites of food that we take, this would include nuts, berries, other fruits and vegetables. In 2005 when 2BSeeds was developed, we wanted to help insure that there would be more production for these beneficial insects. By growing bee friendly flowers you are making your contribution to the need of feeding. 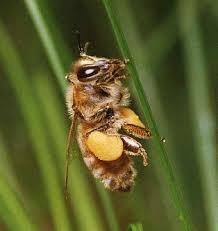 There are 4 ‘P’s that directly affect the well being of Bees. The monarch butterfly population in North America has plummeted by over 90% in just the last 20 years. Destruction of America’s grasslands ecosystems, commercial agricultural practices and even conventional gardening have all contributed to the precipitous decline of this iconic species. National Wildlife Federation has launched a comprehensive campaign to help save the monarch, and there are many ways you can get involved. One of the biggest factors in monarch decline is the increasing scarcity of its only caterpillar host plant: milkweed. Without milkweed, monarchs can’t successfully reproduce and the species declines. By planting milkweed in your own garden, landscape and throughout your community, you can help reverse the fortune of these beautiful insects. All of our flowers, vegetable and herb seeds are Non-GMO as well and neonicotinoid-free. So, that is why we basically started the development of the 2BSeeds Company. We are the fifth generation of Greenhouse Horticulturists to grow vegetables, flowers and herbs. We have since developed the 2BSeeds Company. Our statement was to ensure that all home gardeners could have the same quality of seeds that professional growers have enjoyed for years. 2B Seeds is a small family business, even with grand-children enjoying the "Love of the Seed". Dan has been a grower for over 40 years, and has served as the President of Colorado Greenhouse Growers Association. You will find many Bee and Butterfly friendly flowers on our Wildflower Seeds Page, which include Mixes, Singles, By State, Wild Flowers Bee’s and Wild flowers Monarch’s.